This is a pretty simple visual joke, really. 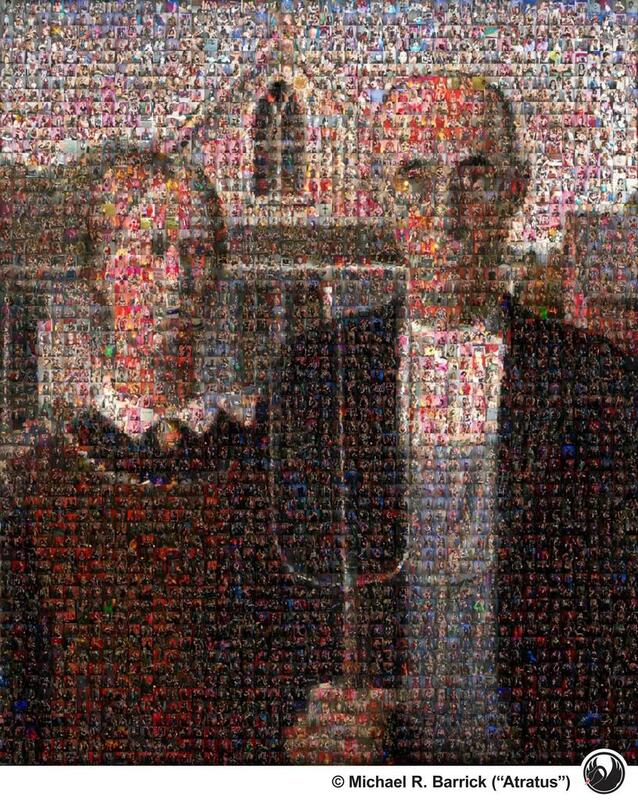 This composite image of Grant Wood's "American Gothic", the icon of mid-western conservative morality, is made up of a composite of over 3000 photos from "Sin City Fetish Night" in Vancouver, British Columbia, selected from the over 20,000 I have taken as the official photographer during the first 11 years of the event. The images are hosted on the "Gothic BC" website at www.gothic.bc.ca which is a resource for Gothic and alternative culture in British Columbia.